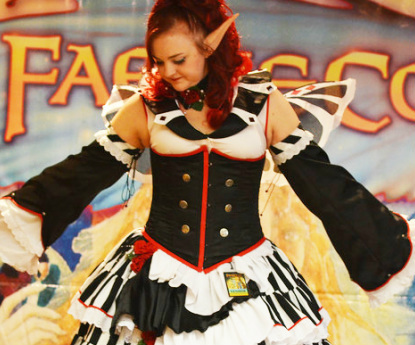 This page will be updated often with pictures from Faerie Con West. I have all sorts trickling in as time goes by. This Con was so much fun! Not only did I get to dress as my new Masquerade Faerie I got to be in a fashion show, a costume contest and got to meet loads of new people. I did not get to leave the booth to often so most pics are right next to it. I look forward to adding more pictures as time goes by! Please feel free to send me an email if you have a picture you would like to see here!